CX: Premium Economy is Here! 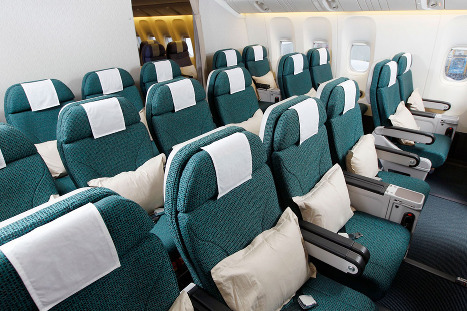 Cathay Pacific’s Economy class from the US to HKG is shrinking and shrinking, as the Business Class expands and the Premium Economy finally arrives. Why it has taken Cathay so long to have the latter among the classes offered one does not know, especially that competitors like EVA Air had it almost from the beginning of their existence.